Condition Details: Cosmetic wear that does not affect function. Clippard ET-3M-12 Mouse Valve w/ Manifold and Wire Attachments Lot of 6 (4456). Clippard electronic mouse valves are simple to use with minimum operating parts and low power operation. These manifold models are equipped with a bottom stud. 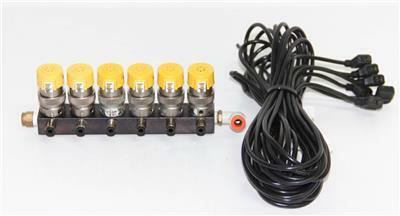 Manifold is included in this sale along with the wire attachments to set up this unit. Clippard valves may be removed manually if needed for other applications. This is a lot of 6 valves with the manifold and wires included. 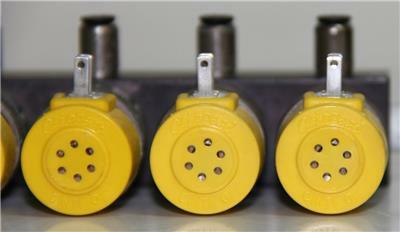 Description: Clippard electronic mouse valves are simple to use with minimum operating parts and low power operation. These mainfold models are equippped with a bottom stud. 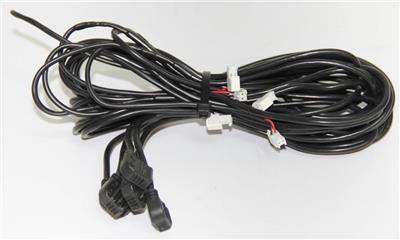 Manifold is included in this sale along with the wire attachments to set up this unit. Clippard valves may be removed manually if needed for other applications. This is a lot of 6 valves with the manifold and wires included. Defects: Cosmetic wear that does not affect function. 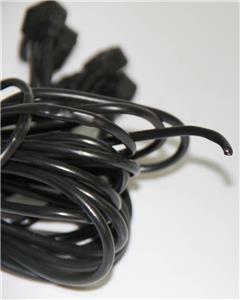 One of the wires is clipped at the end. Specifications: Connection type: 0.1110'' Terminal spades. 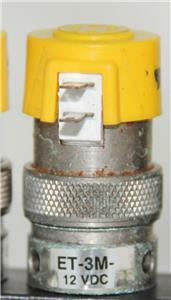 Connector P/N: ET-C48 or ET-C120 or 3831-1-PKG. Flow: 0.6 scfm @ 100 psig. Pressure range: 28'' Hg Vac. to 105 psig. Response time: 5-10 ms @ 25 psig. All equipment purchased is shipped within one (1) day (subject to freight availability) after receipt of payment and is shipped FOB place of shipment. We only charge actual shipping cost. If eBay overcharges for shipping, we issue an immediate refund for the difference. If you are undercharged, we will absorb the cost.We DO NOT ship internationally. IF you are using a freight forwarder then returns are VOID. Buyer acknowledges that the equipment is being sold as is and without any warranty of merchantability or fitness for a particular use. Buyer may inspect the equipment prior to purchase and placement of the order prior to inspection is deemed a waiver of Buyers right to inspect. Buyer is responsible for determining the suitability of this product for its application. Anacapa Equipment Brokers, Inc. assumes no liability for the use or misuse of any equipment purchased by Buyer. It is assumed that the unit will be installed and operated by qualified personnel. The purchaser agrees that the seller shall not be held responsible or liable for any injuries or damages, whether incidental or consequential, associated in any way with the equipment purchased. The Buyer, by purchasing this equipment, indicates its acknowledgment of, and agreement, to the terms of this limited warranty.